In the case now being prosecuted in Suffolk County, Massachusetts, against Aaron Hernandez, the SJC has ruled that a cell phone belonging to Hernandez, given by him to his prior attorneys, must be turned over to prosecutors for the Commonwealth as a result of an anticipatory search warrant application. Aaron Hernandez is awaiting trial for murder in connection with the shooting deaths of Daniel de Abreu and Safiro Furtado in an alleged drive-by shooting in Boston. In its investigation, Alexander Bradley told prosecutors he witnessed Aaron Hernandez shoot at 5 people in a BMW on the date of the shooting. Bradley also told prosecutors that, following the shooting, he and Hernandez communicated with one another via text message, with Bradley eventually threatening to sue and expose Hernandez’ violent conduct. Later, in June 2013, Hernandez gave his cell phone to his attorney for the purpose of seeking legal advice on several issues. After several motions and hearings, the trial court ultimately allowed, in part, the Commonwealth’s motion to compel the transfer of Hernandez’ cell phone from his prior counsel. The judge ordered the attorney to transfer the cell phone to Hernandez’ present attorney so that he could consult with his current lawyers; and then also denied the Commonwealth’s application for an anticipatory search warrant to seize the cell phone from Hernandez’ lawyers. The Supreme Judicial Court allowed the Commonwealth’s petition for relief and ruled that, where a lawyer continues to retain documentary evidence that is no longer necessary for the provision of legal services to a client, that evidence is considered to be “secreted” and a search warrant may then issue for its seizure. The term “secrete” is defined as removing from observation, to conceal, or to hinder or prevent officials from finding it. The limitations, however, do not suggest that they were ever intended to permanently shield unprivileged evidence of criminal activity of a client place in the hands of an attorney, or to create a depository for the secretion or sequestration of evidence from law enforcement. In other words, a lawyer in possession of unprivileged evidence received from a client, having received such for the purposes of rendering legal advice, cannot retain the evidence indefinitely absent a bona fide need and purpose related to the provision of legal advice. As it pertained to the issue of Hernandez’ cell phone that he had provided to his first attorney, the SJC noted that (1) the Commonwealth filed an application for an anticipatory search warrant; (2) Hernandez did not raise any claim that the phone itself is privileged, or that it may contain privileged communications; and (3) the judge had found probable cause to believe that the telephone contained evidence of the crimes at issue. Once Hernandez’ attorneys had a reasonable opportunity to inspect and download the contents of the phone, the SJC ruled they no longer required possession of the phone for the provision of legal advice to Hernandez. Thereafter, its continued retention would effectively serve no other purpose other than to conceal or remove it from the inspection and investigation by the Commonwealth. 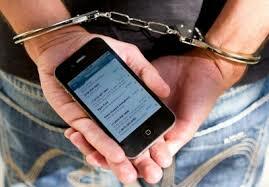 In my practice, there have been several instances where client have offered me their cell phones, computers or ipads/tablets for inspection and consultation of legal advice in either a pending criminal matter or one under investigation. Clients should be aware that there are laws against the destruction of such evidence, particularly if they are in the possession of an attorney. Contact Boston Criminal Lawyer Lefteris K. Travayiakis or call 617-325-9500.